ABSTRACT: The study aimed to develop a specific, exact, selective, precise and accurate Reversed Phase Stability Indicating Ultra-fast Liquid Chromatography (RP-UFLC) strategy is created and validated for Teneligliptin hydrobromide in the pure and marketed formulation. The method showed an adequate separation for Teneligliptin hydrobromide from their degradation products. The chromatographic separation was accomplished on Phenomenex Kinetex C18 (250 × 4.6 mm) with the mobile phase of methanol, acetonitrile, and potassium dihydrogen orthophosphate (40:20:40 v/v/v). The pH is changed by 4.6 using orthophosphoric acid. The run time was 10 min and the retention time of drug is 3.3 min. The detection is carried out at 246 nm using photodiode array detector (PDA) and ultraviolet (UV) with a flow rate of 1.0 ml/min. The drug product is exposed to acid and base stress, photolytic stress, Thermal stress, oxidative stress, and hydrolytic stress conditions, and the stressed samples were analyzed by the proposed method. The linearity of the proposed strategy is researched in the range of 2-10 µg/mL (r2 = 0.9915). The present method was validated concerning system suitability, accuracy (recovery) precision, linearity, limit of detection (LOD) and limit of quantification (LOQ) and robustness according to the ICH Guidelines. INTRODUCTION: Gliptins are ordinarily known as DPP-IV inhibitors have turned out to be a new class of potential medication applicant and are being sought as a lasting eraser after sort 2 diabetes. Consequently, gliptins have been a focal point of innovative work. Teneligliptin hydro-bromide is a Dipeptidyl peptidase 4 inhibitor is an uncommonly persuading in chopping down blood glucose levels. Teneligliptin hydrobromide hydrate is a very strong, focused, and durable DPP-4 inhibitor (1, 2, 3, and 4). Glucagon-like peptidase (GLP-1) a peptidase discharged from the GIT because of sustenance consumption upgrades insulin emission and stifles glucagon emission from the pancreas, consequently assuming a critical part in controlling postprandial blood glucose level. The peptide is quickly inactivated by debasement by DPP-4 inhibitor; a chemical generally conveyed in the body. DPP-4 inhibitor debasement, expanding the centralization of dynamic GLP-1 in the blood, which fortifies glucose subordinate insulin discharge and in the meantime, smothers glucagon emission, subsequently displaying glucose bringing down impact. It is successfully used to treat type 2 diabetes mellitus. The most typically detailed unfavorable responses incorporate hypoglycemia, clogging, and feeling of the developed stomach area, stomach distress, sickness, stomach torment, meteorism, stomatitis, skin irritation, rash, pruritus, dermatitis, and disquietude. Composing study reveals RP-UFLC techniques have been represented the assessment of Teneligliptin hydrobromide pure and tablet dosage forms 1-5. Chemical (IUPAC) Name: (2S, 4S) - 4-[4-(3-Methyl-1-phenyl-1H-pyrazol-5-yl) piperazin-1-yl] pyrrolidin-2-yl} (1, 3-thiazolidin-3-y1) methanone hemipentahydrobromide hydrate. Chemicals and Reagents: Pure sample of Teneligliptin was got from IP Laboratories Bommanahalli, Bangalore. Formulation of Teneligliptin is acquired in the resident pharmacy. HPLC grade methanol is procured from Merck Pvt. Ltd., Mumbai. The chemicals used are of analytical reagent grade (AR grade) like orthophosphoric acid secured from Loba Chemie Mumbai. 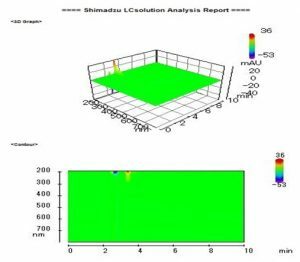 Instrumentation: The SHIMADZU, UFLC outfitted with PDA detector and LC solution software is utilized for the current research work. 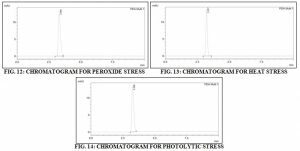 The chromatographic separation is accomplished on Phenomenex Kinetex C18 (250 × 4.6 mm) with the mobile phase of methanol, acetonitrile, and potassium dihydrogen orthophosphate (40:20:40 v/v/v/). The pH was changed by 4.6 using orthophosphoric acid. The substances of mobile phase were filtered before use through a membrane filter (0.45 μ). 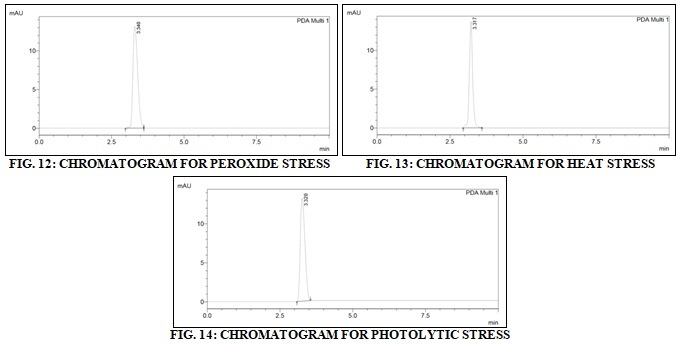 The advanced chromatographic conditions are shown below. Determination of Maximum Absorbance: The standard arrangements of Teneligliptin hydro-bromide is examined in the range of 200-400 nm against mobile phase as blank. Teneligliptin hydro-bromide hydrate indicated the greatest absorbance at 246 nm. In this manner, the wavelength decided for assurance of Teneligliptin hydrobromide is 246 nm. Preparation of Potassium Dihydrogen Orthophosphate Buffer: To a 1000 ml volumetric flask, add 1.36 gm of Potassium dihydrogen orthophosphate, diluted with Millipore water and made up to the mark. The pH was adjusted to 4.6 using orthophosphoric acid. The solution is then filtered through a 0.45µ membrane filter. Preparation of Diluent: The diluent is a mixture of 50 parts of methanol and 50 parts of acetonitrile. Preparation of Mobile Phase: Mobile phase is methanol, acetonitrile, and potassium dihydrogen orthophosphate was used in the ratio of (40:20:40) (v/v). Preparation of Standard Stock Solution for Teneligliptin: 100 mg of Teneligliptin was taken into 100 ml volumetric flask. To this include 50 mL of diluent and sonicate to break down and the volume was made up to the check with diluent (1000 µg/ml). Pipette 1ml of the above arrangement into 10 ml volumetric flask and make up the volume utilizing diluent (100 µg/ml). Preparation of Solutions for Linearity: The solutions for linearity were set up from stock solution by diluting with diluent. The concentration ranging from 2, 4, 6, 8, 10 μg/ml were set up for teneligliptin. Pipette 0.2, 0.4, 0.6, 0.8, 1.0 ml in 10 ml volumetric flasks and make up the volume using diluent to get the above concentrations. Preparation of Calibration Curve: From the stock solution (100 µg/ml) aliquots of teneligliptin were pipetted into a series of 10 ml volumetric flask. The volume was made up to the mark by using HPLC grade diluent to obtain concentration range of 2-10 µg/ml and filtered through a membrane filter of 0.45 μ pore size. 10 μl solution was injected, and peak areas were recorded. The calibration curve was established. The Beer’s law is obeyed in the concentration range of 2-10 µg/ml. Assay of Teneligliptin Hydrobromide Hydrate Tablets: Ten tablets of Teneligliptin Hydro-bromide Hydrate were weighed and powdered to 20 mg of Teneligliptin Hydrobromide Hydrate and exchanged to 100 ml volumetric flask, volume balanced with methanol (200 μg/ml) top territory of the readied arrangement was recorded, and grouping of each medication was calculated using calibration curve equation. Method Development: The RP-UFLC strategy created in this examination was gone for finding the chromatographic framework fit for eluting and resolving Teneligliptin hydrobromide and its degradation product with fulfilling framework appropriateness conditions. 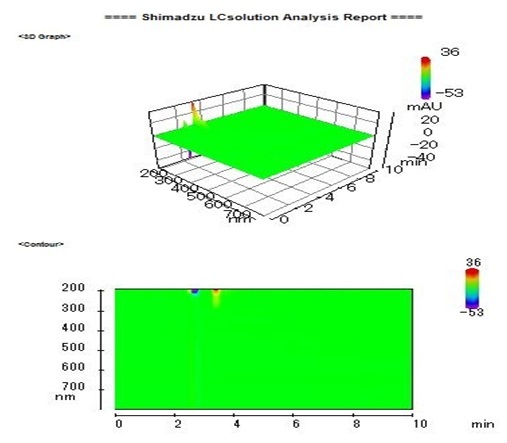 To build up the different conditions parameters, for example, a versatile stage, pH, stream rate and dissolvable proportion were changed, and the reasonable chromate-graphic condition has been created for routine investigation of medical tests. Beginning trails were done by utilizing the same segment taking Methanol, Acetonitrile, and Water in different extents with a stream rate of 1.0 ml/min. The column was kept up with gradient phase. The chromatograms got after injection drug tests and kept up with a run time of 10 min detailed in separation and peaks were watched wide with thick peak heads and high retention time. Method Validation: Method validation is the process used to confirm that the analytical method used for a particular test is reasonable for its expected utilize. Results from method validation can be utilized to reliability, judge the quality and consistency of analytical results; it is a necessary piece of any great diagnostic practice. It is the way toward characterizing a scientific necessity and affirms that the technique under thought has execution abilities steady with what the application requires. The different approval parameters incorporate linearity, precision, accuracy, selectivity and specificity, range, robustness and LOD, LOQ 9, 10. RESULTS AND DISCUSSION: In developing the method, systematic study of the effects of various parameters is carried out. Initially, the solubility of the Teneligliptin drug is determined. In UFLC method, chromatographic conditions stand advanced to obtain great peak. Initially, various mobile phase compositions were tried to elute the drug. Mobile phase and flow rate selection were based on peak parameters (height, capacity, theoretical plates, tailing or asymmetry factor), run time and resolution. The system with a mobile phase containing Mobile Phase A (Methanol): Mobile Phase B (Acetonitrile): Mobile Phase C (Potassium dihydrogen orthophosphate of pH 4.6) is used in the ratio of 40: 20:40 (v/v) with 1 mL/min flow rate is very strong. The ideal wavelength for identification is 246 nm at which better detector response for the drug is acquired. The chromatogram for blank and Teneligliptin with retention time at 3.308 min was shown in Fig. 1 and 2 respectively. From the standard chromatograms, various system suitable parameters were recorded. System Suitability: System suitability tests are used to check the reproducibility of the chromatographic system. To find its effectiveness, system suitability tests is accomplished on freshly prepared stock solutions. Data Interpretation: From the above-tabulated data Table 1, it was observed that the system suitability parameters were within the acceptance criteria. Acceptance Criteria: Measurable conduct of linearity statistics from table correlation coefficient should be NLT 0.95. Data Interpretation: From the 2 of Teneligliptin it is clear that the response of Teneligliptin is linear between 15% to 50% level of working concentration. The correlation was not less than 0.95, so linearity parameter was within the acceptance criteria. Precision: The precision of an analytical method is the level of assertion between individual test outcomes when the system is associated over and over to various inspecting of a homogeneous sample. System Precision: The system precision stands to confirm that the analytical system is working properly. Acceptance Criteria: The % RSD of the area response for Teneligliptin peak got after 6 injections of Standard preparation should be NMT 2.0%. Data Interpretation: From the above Table 3, it can be presumed that area response as consistent evidence by the relative standard deviation. Method Precision: Method precision shows whether a system is giving reliable results for a single material or not. Acceptance Criteria: The % RSD calculated on 6 determinations should be NMT 2.0%. Data Interpretation: From the above Table 4, it can be concluded that the method is precise. Limit of Detection & Limit of Quantitation: Limit of Detection (LOD) is the most decreased measure of analyte in a sample that can be identified, yet not quantitated, under the expressed experimental conditions. Limit of Quantitation (LOQ) remains the most reduced measure of analyte in the sample that can be quantitated with adequate precision and accuracy, under the specified expressed trial conditions. The LOD & LOQ is ascertained to the slope, intercept and correlation coefficient and the relative standard deviation from the linearity curve. Data Interpretation: From the above Table 5, it can be concluded that particularly visible peaks were seen at LOD level concentration. The LOD and LOQ for Teneligliptin were observed to be 0.097 and 1.023 µg/ml respectively. Accuracy: The accuracy of an analytical method is the closeness of test results obtained by that strategy to the genuine esteem (Standard value). Acceptance Criteria: Individual and Mean % recuperation at each level ought to be between 98.0% and 102.0%. Data Interpretation: From Table 6, it can be concluded that the recovery is well within the limit. Hence the method is accurate. Robustness: The robustness of an analytical system is a measure of its capacity to remain unaffected by little, however, think varieties in procedure parameters and indicates its unflinching quality in the ordinary utilization. The Tailing factor ought to be NMT 2.0. Data Interpretation: From Table 7, it can be concluded no significant changes were observed due to change in above said chromatographic conditions, hence the method is robust. Forced Degradation Studies: The stress studies were performed Teneligliptin drug at 50 μg/ml concentration. Here the bulk drug is exposed to acidic stress by addition of 1.0 ml of 0.1M HCl to drug solution and counteracted with 1.0 ml of 0.1M NaOH, at 0 min, 30 min, 1 h, 2 h, 4 h, 8 h, 6 h, and 32 h respectively. Similarly, the basic stress studies were performed by adding 1.0 ml of 0.1 M NaOH and neutralized with 1ml of 0.1M HCl. Oxidation studies were achieved on the bulk drug by addition of 1.0ml of 3% H2O2. Thermal studies were performed by heating the sample at 60 ºC, and UV studies were also carried out by the sample at UV- Lamp 45 ºC respectively. Entire samples were placed in a different volumetric flask (10 ml) and dissolved in HPLC grade methanol. Final drug concentration for the assay was made up with methanol and injected in the chromatographic system. For all these stability studies, the development of degradable item was affirmed by contrasting, and the chromatogram of the arrangement kept under ordinary unstressed conditions. Every stressed sample were analyzed by improved RP-UFLC method. The degradation data for Teneligliptin Hydrobromide was shown below. Acid Stress: For 2 ml sample add 2 ml 0.1N HCl keep aside for 5 min and then add 2.ml of 0.1N NaOH, then inject this sample for 36 h as intervals 30 min, 1 h, 1.30 min respectively. Base Stress: For 2 ml sample add 2 ml of 0.1N NaOH keep aside for 5 min and then add 2 ml of 0.1N HCl, and inject the sample. Peroxide Stress: For 2 ml sample add 1 ml of 3% peroxide solution and inject this sample. Heat Stress: Take 2 ml sample and heat for 1 h at 8 ºC and inject the sample. Photolytic Stress: Take 2 ml sample and place in a UV chamber for 1 h UV- Lamp 45 ºC respectively and then inject the sample. CONCLUSION: The above RP-UFLC analytical method satisfies all validation parameters like accuracy, precision, system suitability, specificity, the linearity of detector response, ruggedness and robustness. At the same time, the method satisfies the forced degradation study. Hence, the validated method can be used for routine determination of stability studies in quality control laboratories in the pharmaceutical industry. Luhar SV, Pandya KR Jani GK Sachin B and Narkhed S: Simultaneous estimation of teneligliptin hydrobromide hydrate and its degradation product by RP-HPLC J Pharm Sci Bioscientific Res 2016; 6(3): 254-61. Kumar TG, Vidyadhara SNarkhede NA Silpa YS and Lakshmi MR: Method development, validation, and stability studies of teneligliptin by RP-HPLC and identification of degradation products by UPLC tandem mass spectroscopy. 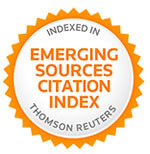 Journal of Analytical Science and Technology 2016; 7(1): 27. Patil MD, Bapna M Shah P and Khoja SS: Development and Validation of Analytical Methods for Simultaneous Estimation of Metformin Hydrochloride and Teneligliptin Hydrobromide Hydrate in Pharmaceutical Dosage Form. J Pharm Sci Bioscientific Res 2017; 7(2): 200-108. Yadav N and Goyal A: Method development and validation of Teneligliptin in pharmaceutical dosage form by UV spectrophotometric methods. International Jou of Pharmaceutical Chemistry and Analysis 2017; 4(3): 54-8. Patel KB, Joshi HV Shah UA and Patel JK: Development and Validation of Analytical Methods for Simultaneous Estimation of Teneligliptin Hydrobromide Hydrate and Metformin Hydrochloride in Pharmaceutical Dosage Form. Pharma Science Monitor 2017; 8(4). Shaikh AR, Ahmed BA and Ibrahim M: A validated stability indicating RP-HPLC method for simultaneous estimation of metformin and teneligliptin in bulk and pharmaceutical dosage form. Inter Jou of Pharmaceutical Sci and Res 2018; 9(4): 1705-12. Sunitha PG, Karthikeyan R, Kumar RB and Muniyappan S: Quantitative Estimation of Teneligliptin by Validated Colorimetric and FTIR Spectroscopic Methods. 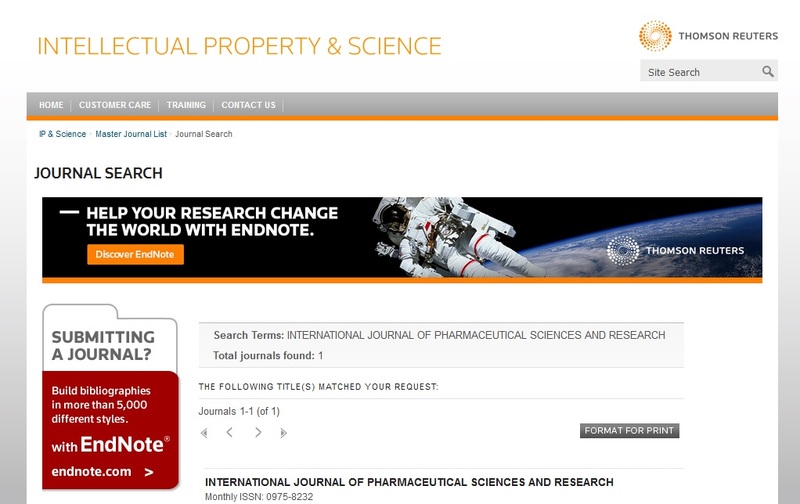 World Journal of Pharmacy and Pharmaceutical Sciences 2017; 6(8): 1680-5. Chitlange SS, Rawat DG and Gandhi SP: Estimation of Anti Diabetic Teneligliptin in Bulk and Formulation by Densitometric and Spectrophotometric Method. Analytical Chemistry Letters 2017; 7(4): 556-66. Patil D, Ahmad S, Shastry VM, Mujawar T and Thakare L: Analytical method development and validation for the simultaneous estimation of Metformin and Teneligliptin by RP-HPLC in bulk and tablet dosage forms. Journal of Pharmacy Research 2017; 11(6): 676-81. Sen AK, Hinsu DN, Sen DB, Zanwar AS, Maheshwari RA and Chandrakar VR: Analytical method development and validation for simultaneous estimation of Teneligliptin hydrobromide hydrate and Metformin hydrochloride from its pharmaceutical dosage form by three different UV spectrophotometric methods. J App Pharm Sci 2016; 6(9): 157-65. Maruthi R, Chandan RS and Tengli AK: Method development, validation and stability indicating assay for teneligliptin hydrobromide by RP-UFLC. Int J Pharm Sci & Res 2019; 10(2): 728-35. doi: 10.13040/IJPSR.0975-8232.10(2).728-35.